With InvoiceOcean you can email documents directly to your clients straight from our SaaS portal. Your recipient can then view the invoice online or download it as a PDF file, which can also be later printed. 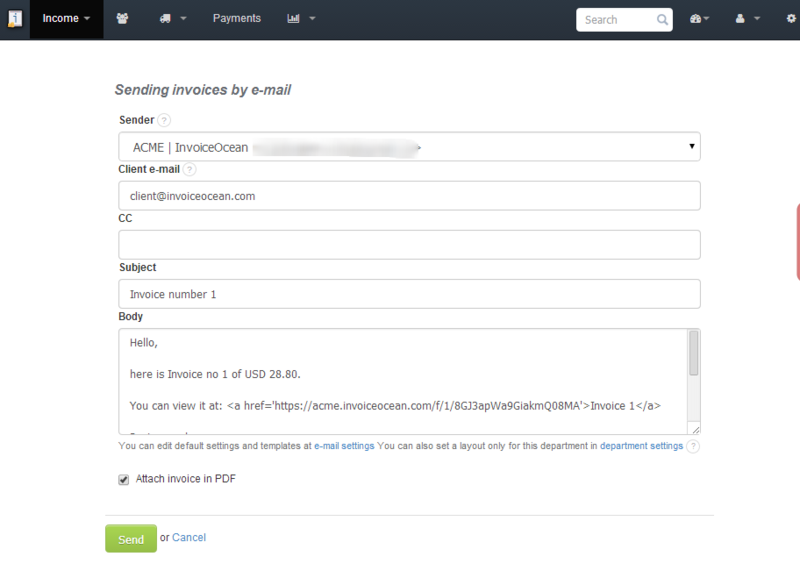 InvoiceOcean automatically generates emails containing a shareable link your invoice and a downloadable PDF file. Easily share your documents online, or download them as printer-friendly PDFs and mail them out traditionally.